It’s been great attending Namescon this week, though a couple side-bar conversations had me scratching my head. In fact, on three instances I’ve heard people discussing this topic and someone stating that having keyword rich and exact match domain names is where it’s at. This choice alone can make or break you. And they were thinking of developing sites, not parking domains. So let’s examine the value of a domain as applied to search. Now, I thought we were all past this, but apparently some still believe this is the case. The thinking is, basically, that having a keyword-rich domain makes that domain more relevant to the topic. That merely having a popular keyword in the domain will help that site, regardless of content, rank on the high volume keyword. So many feel keyword research (admittedly a bit harder these days) will point to winners and losers. Winners are those with a reasonable volume of queries per month, while losers have almost none or none. They feel the content of the site is less important than having a word in the domain, basically. So watching for, buying and using a domain name which corresponds to a phrase that gets high search volumes should see you ranking higher on that phrase, you getting more clicks, increased traffic, revenue, etc. Ranking today is a result of so many signals fed into the system the words used in a domain send less and less information into the stack as a percentage of overall decision making signals. This is great from our view (the engine) as it results in better results showing at the top since no one signal can be manipulated. From the searchers POV, it’s better simply because those sites trying to abuse their way to the top with a keyword rich domain and irrelevant or poor content cease to rank well. If you’re focused on the user experience and relevancy, however, the value remains intact to a greater degree. 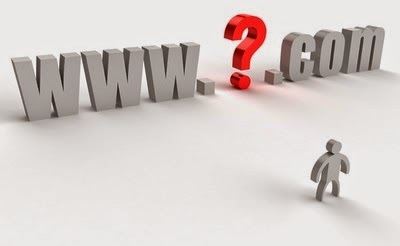 Good domain names are easy to remember, easy to spell, easy to pronounce and often short. If you look around, you’ll see no shortage of made up words as domains, too. You CAN create a new word that passes many tests and you CAN build awareness of it and over time you’ll see it become an actually searched-on phrase in its own right. To reach this point, however, there has to be something of value on the site. Something that makes people want to share the site, recommend the site and revisit the site themselves. This is where your content, user experience and relevancy come into play. It’s perfectly acceptable to use words in domains in unique ways. Its fine to use words in domains in ironic ways, though be sure those looking for you understand your meaning. Think of The Onion. People don’t go there looking for produce. Today, this is our reality. It’s inescapable. There are no shortcuts. Even the new generic top level domains (gTLDs) coming out near the end of February will be treated in this manner. Domain spamming isn’t new, so sites that provide value, are relevant and that people like will rank as usual. They won’t rank “just because” they have certain words in them, and thinking that keyword stuffing a domain (think: cars.cars) will give you an edge is dangerous. You’ll fall off that cliff in a hurry if abused. If it appears that it’s just all going to bring forward spam, well, you know we aren’t interested in that approach. And to wrap back to those conversations I overheard, well, it was kind of fun to join those conversations and open some eyes. We’re all on a learning curve, but usually at different points. It’s always great to be able to help folks learn something new-to-them that can have a material effect on their success…or avoidance of failure. Really a great supporting article, the domain name role in SEO is clearly mention here,If anyone looking for digital marketing course in Dubai please contact us ASAP. I get a kick out of the chance to think about Some Common Stock Market Investing Terms through this article. I got a considerable measure of helpful and extremely significant focuses from this site which I will remember while tackling Stock market-related inquiries. I actually looking the post about hormone of happiness which definately valuable for the students and everyone.